Our sponsors allow us to thrive as a club and continue to work towards our mission and goals. We also provide a platform for our sponsors to get connected with the resources available at Berkeley and the Bay Area. Interested in sponsoring the UC Berkeley Singapore Student Association and finding out more about our sponsorship benefits? Feel free to get in touch with us at contactus [at] ssa [dot] berkeley [dot] edu! The Overseas Singaporean Unit (OSU) is a directorate under the National Population and Talent Division of the Prime Minister’s Office, and is part of the Singapore government’s overall efforts to engage its citizens overseas. INVICTUS is Singapore Fintech startup that focuses on taking the chronic pain out of the last mile of a transaction by expanding access to financing from third party liquidity providers. They aim to establish a company recognized as the most innovative, reliable and trustworthy partner for SMEs for the trade transactions by providing an ePlatform that will optimize, simplify and facilitate trade transactions for SMEs. Read more about a valuation on Invictus’ Finotes. The Consulate-General of the Republic of Singapore safeguards the interests of Singaporeans visiting, living and working near the Bay Area, and promotes bilateral, political, economic and cultural links between Singapore and the United States. 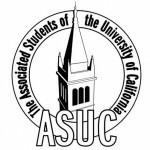 The Associated Students of the University of California, also known as ASUC, is the officially recognized student government of UC Berkeley. The ASUC, originally found in 1882, is the largest and most autonomous student government in the nation and is an independent 501(c)3. The student government organization controls funding for student groups and organizes most on-campus student events.